“I was pleased with the SMS that Jurgen sent me yesterday. He excused me and shared his version of what happened. 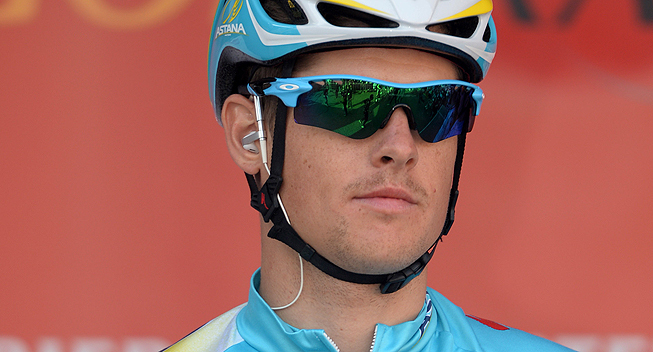 It was just a bad luck that the bottle hit me,” Jakob Fuglsang said. Vincenzo Nibali’s most reliable lieutenant and last year’s Tour de France podium finisher Jakob Fuglsang crashed heavily during Friday’s mountain stage on the water bottle accidentally dropped by Jurgen Van den Broeck (Lotto Belisol), and even though in a heat of the moment frustrated Dane blamed Belgian rider for causing an incident, he eventually called latest happenings a bad luck and hoped for bouncing back in Pyrenees. It wouldn’t be the first dangerous situation supposedly caused by Van den Broeck during this year’s edition of the French grand tour after pre-race favorite Alberto Contador (Tinkoff-Saxo) blamed the Lotto Belisol rider for forcing him out of competition, and so the 31-year old Belgian was quick to explain the most recent incident with Fuglsang both privately and via social media before rumors about his reckless behavior grown in strength. "It was a bad luck." Van den Broeck apologized yesterday already public via Twitter "to avoid stories." “At the top of the Col de Palaquit I took a drink and put it away, but apparently it didn’t sit firmly in the basket. When I rode by a small pit, it fell out. It was nothing I could do about it,” Van den Broeck expailed, according to Sporza.be. The Danish rider, very upset right after the accident happened, at first reacted violently and reproachfully, but after calming down admitted that the crash was due to a pure bad luck. “I didn’t have the best night, but all in all I was lucky and I look with an optimism for the rest of the Tour,” Fuglsang said, according to Belgian media.